I got the whole family situated in the van (a chore in itself) and decided to head over to a dilapidated antique store that had been converted from an old large hen house. It was located at the cusp of where the encroaching city meets the retreating country. I envisioned finding stacks of country Brother acts (Stripling, Delmore, Tweedy, etc.) just waiting for me to pluck them from their nest and spin them into cash on eBay. We made the hour journey and found the place. There was no air conditioning nor moving breeze at all inside the structure...but that just made me feel that there may be something special in the back thinking of countless people giving up their search because of the stifling stagnant air before they got halfway in. 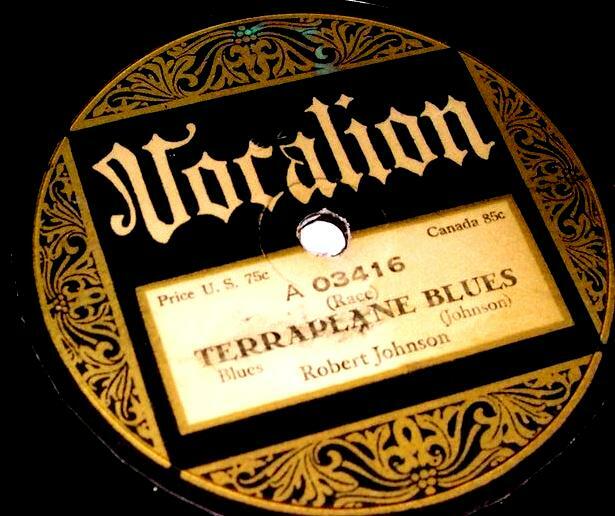 First thing of interest I saw was an old tube RCA Victor suitcase style record player on the floor and bent down to unlatch and open the lid...and there it was...a Vocalion 78 rpm still on the spindle...and in the faint light, through the dust I read "Terraplane Blues - Robert Johnson (Race)." I started to tremble. I visually inspected the record with my darting eyes looking for chips or cracks...like that would really matter in me buying or not buying the record. I closed the lid and fumbled with one of the latches for what seemed an eternity until it finally clasped securley while trying not to bring the least bit of attention to myself. I picked up the record player and kept it horizontal (like it was on a table playing a record) instead of the handled vertical position intended for portability. Walking up to the front of the building where the opened door offered the most light inside, the proprietor, at first, was a faceless featureless silhouette...upon nearing him, he was not an old man with a straw hat and overalls but rather an old man with a close cut, semi stylish haircut and goatee, along with a single earring pierced halfway up his ear in the cartilage. I asked what he would take for the player. He told me an amount that was a little stiff but not wanting to lose my chance at owning a Robert Johnson, I agreed immediately. I told him that I needed to go out to the van and get the rest of the money from my wife (anyone see a pattern here?) and after trying to set the player down near the door as carefully as I could to show I wasn't trying to load it up before paying, he had his 'partner' take it out for me. Of course he grabbed it by the handle and vertical it went. He set it between the second and third row of seats as I asked my wife for the extra cash. She immediately knew something was up judging by the worst poker face in history. I told her not to let the kids out of their car seats. 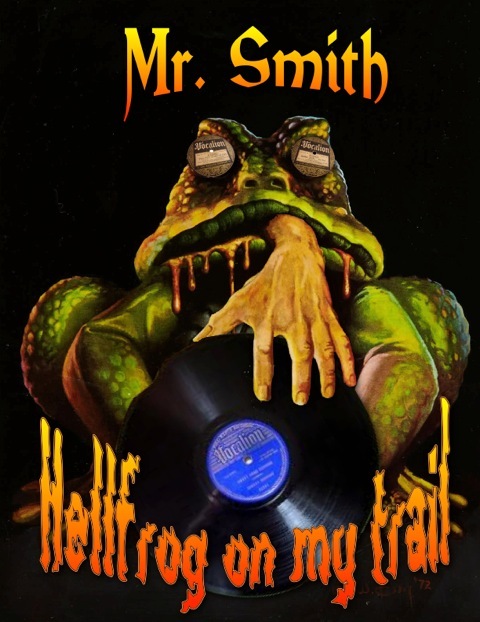 I gave the helper the cash and followed him back inside for the change and also to look around for perhaps more 78s from the same untapped vein. After searching around...with the two guys helping me dig through the dust for more records, only to find classical, big band and a lone 1923 Lanin's Roseland Orchestra on Oriole, I finally called it quits. Getting back in the van, I crawled back to surprise the wife with my find. I pulled back the lid to reveal the most wonderful sight. She snapped a few pics with her camera and again I closed the lid for the ride...but not until after fumbling with the same uncooperative latch. I got behind the wheel and immediately called my cousin, a blues/guitar afficianado and told him of the find...we were yelling on the phone back & forth and were setting up a time to listen to a real live Robert Johnson phonograph record. A few miles down the country road and getting more and more nervous hitting the least little piece of gravel, I pulled over and went back to lift the shellac disc off of the spindle and secure it better. I flipped the latches, pulled back the lid and slid it up and off and instinctively flipped it to see what gem was imbedded in the grooves on the other side...and that's when it happened. The flipped label was an old maroon OKeh. The very first thought that raced through my mind was, "What kind of rare, mistakenly pressed oddity is this?" only to have reality set in less than a second later. The Johnson label was pasted onto another record. My wife later described my reaction as total deflation. She said that she thought I was going to break down. I climbed my way back into the driver's seat and my wife didn't say a word to me for the remainder of the drive. It then hit me, from the conversation with the store owner, that he mentioned how the movie studios sometimes use his inventory as props. Lesson learned...I will never NOT flip a record in my future searches. I believe I'll go dust my broom now. Yeah, I now know that R. Johnson 78's were not pressed on this style of label.